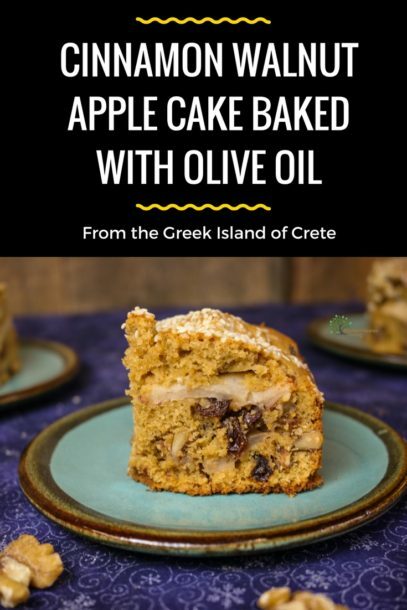 In Crete, we use olive oil for everything, including baking sweets (Mediterranean Diet recipes classically use olive oil for baking). 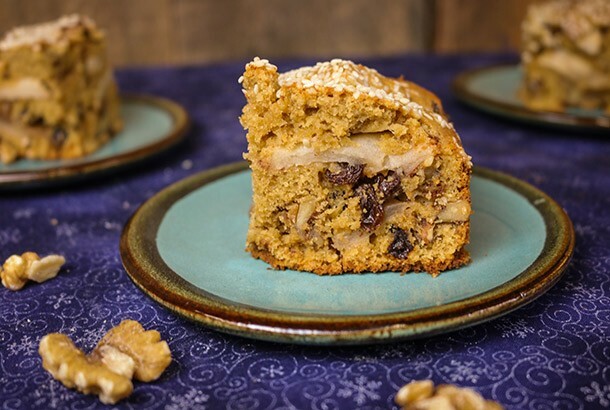 This cinnamon walnut apple cake has been baked for special occasions in my family for generations. Even though we have fruit for dessert on most nights, we will make this as a treat when we are celebrating. Olive oil makes for velvety and moist baked goods and I would highly recommend it for most of your baking needs. One tip is to try to get a buttery or fruity flavored olive oil when you are baking. Eat this cake with afternoon tea or coffee or after a light meal. Enjoy! Photo by Bill Bradley, R.D. Beat eggs and sugar with a hand mixer for 10 minutes. Add olive oil and beat for an additional 3 minutes. Add milk, wheat flour, baking powder and vanilla. Beat for 2 minutes. Brush a 9" cake pan with olive oil. Add half the batter to the pan. In a bowl, mix apples, 2 tablespoons of brown sugar, walnuts, raisins and cinnamon . Pour apple mixture on top of batter in cake pan. Add remaining batter to pan and sprinkle with sesame seeds. Bake for 45-50 minutes until inserted knife comes out clean. You can use either but make sure it’s about 9 inches in diameter. Recipe has been fixed. Super moist and delicious now! Thanks for catching the flour overload! When I originally made this it seemed good, but I think the grams to cups translation may have been a mistake. I think it should be closer to 3 1/2 cups. I will make it again in the next few days and let you know. Thanks for the comment! 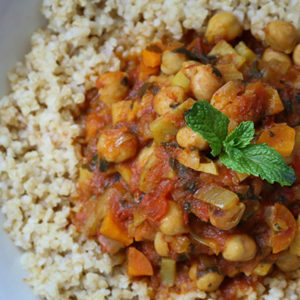 I made this recipe today. It came out dry and like bread. I think it has 2 cups flour too much. Maybe 2 1/2 cups of flour instead of 4 1/2 cups of flour. Hi Karen, I need to try this recipe again, but I’m pretty sure that it is supposed to have this amount of flour. 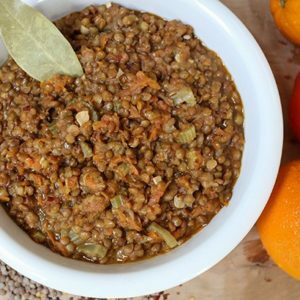 Did you use a cup of olive oil? I will let you know when I try it this weekend.